A First for Everything : Spring has Sprung! This has been one loooong winter. It seems like every week this winter we have had a snow day and a school cancellation. We've had more indoor recess days due to freezing cold temperatures this year than any year I can remember. We made boats out of tinfoil (if you try this I recommend small sized squares such as 4x4). Students drew a picture to show what their boat looked like. 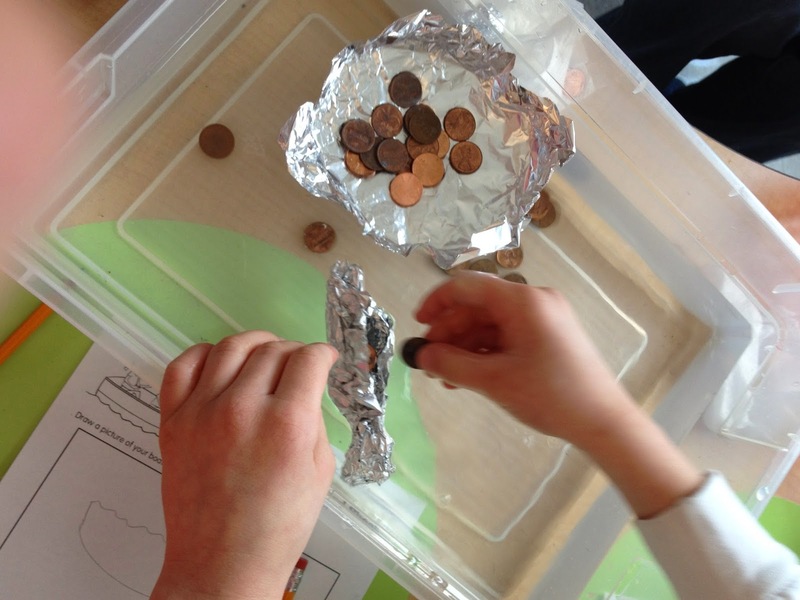 They also predicted how many pennies it would take to sink the boat and recorded their estimates. 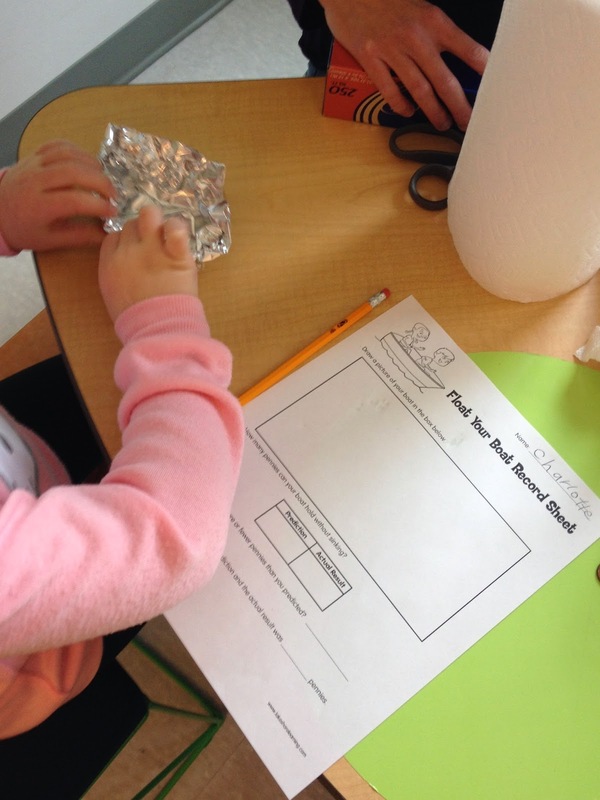 We put our predictions to the test by placing our tinfoil boat in water and counting how many pennies we added to the boat until it sank. We also determined if our result involved using more or fewer pennies than we predicted. We subtracted to get our difference in penny prediction counts and actual counts. 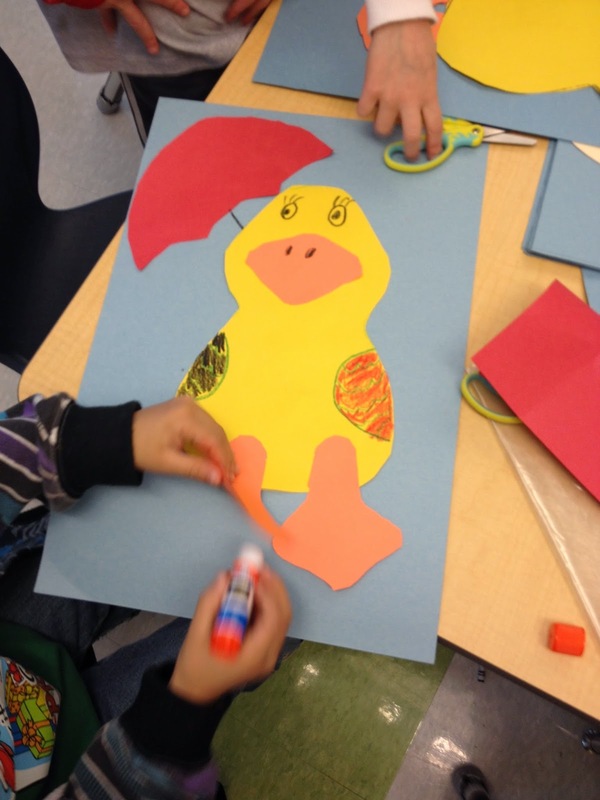 If you are are interested in the worksheet I found it from Lakeshore Learning. Of course you can't think of Spring and not think of flowers and planting. 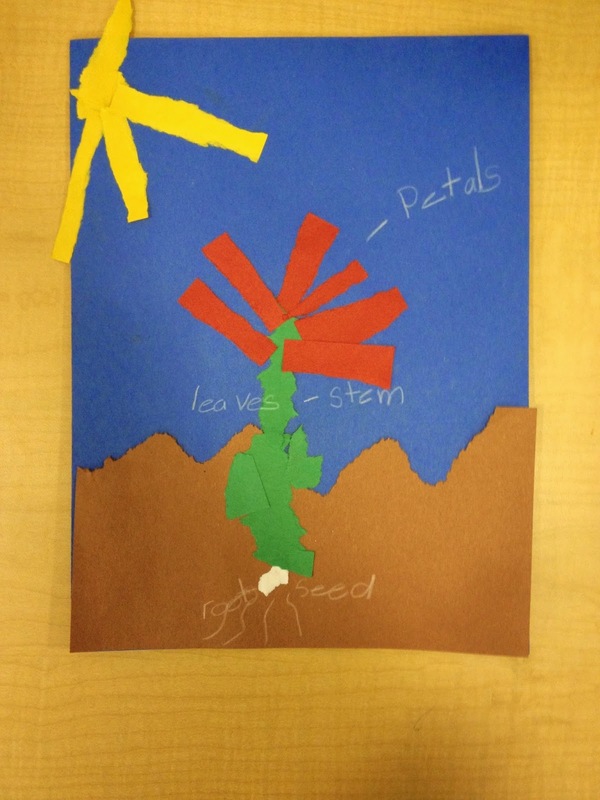 We reviewed the life cycle of a seed with this fun project. 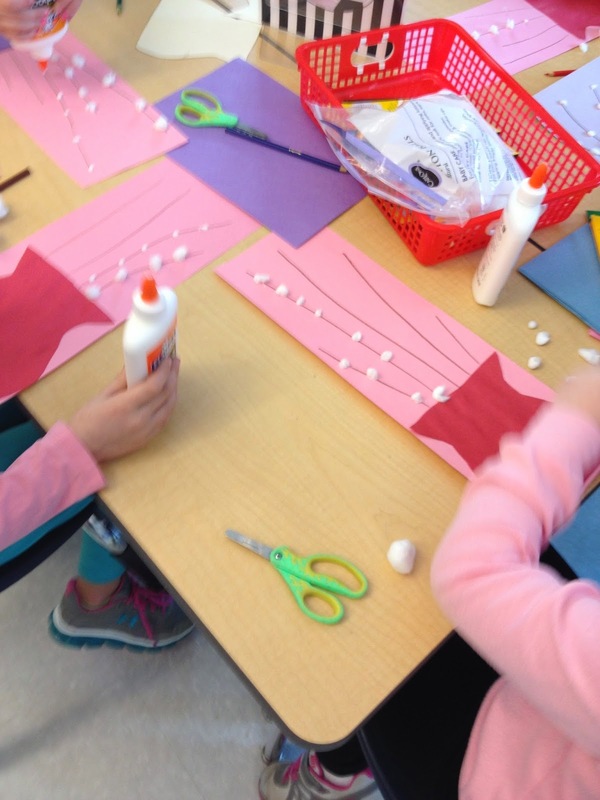 The students enjoyed tearing construction paper to make the seed, soil, and parts of the plant and they used colored pencils for the labeling. They came out really cute! Julie I love the themed days that you all do! How fun. We build the boats in my county in first grade too. It's part of our Science Olympics. Ooooo Science Olympics sounds fun! Think you'll blog about it? I'd love to learn more about what you do with it.